LIMA — The race for the 5th Congressional District in Ohio pits incumbent Republican Bob Latta against Democrat J. Michael Galbraith and Libertarian Don Kissick. Latta is seeking his seventh term in the U.S. House of Representatives. Galbraith and Kissick have never held political office. Latta’s father, Delbert Latta, was also a U.S. Congressman. “I graduated from Bowling Green High School, Bowling Green State University and also the University of Toledo’s College of Law. My wife and I have been married for 32 years,” said Latta. Latta takes pride in traveling around the district and hearing from his constituents. “I put a lot of miles on my car in my district because I believe that’s the way I’ve got to be able to see it and I’ve been to, I think, around 940 meetings [in the district] in the last six years,” said Latta. Where some congressmen do open town hall meetings, Latta prefers a more personal connection. “I do courthouse conferences and what we do is we actually go to a courthouse and we’ll set up shop and so everybody can come in and have a one-on-one with me. “I can listen to individuals that have a specific problem. 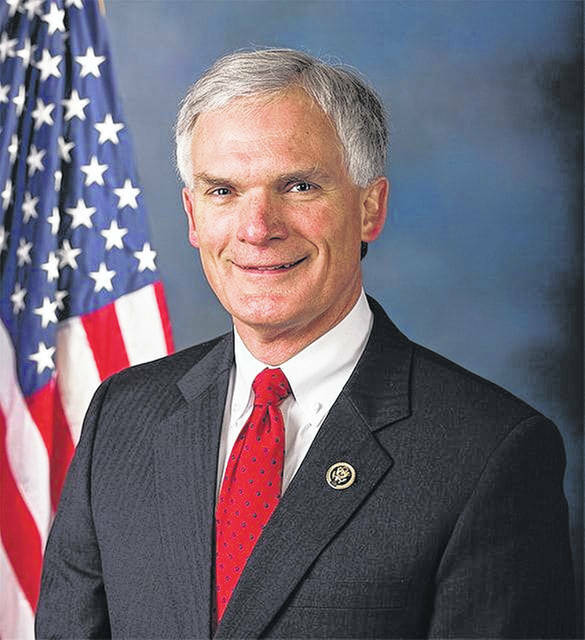 If it’s an issue with a federal department agency, we can start casework or if they just want to talk about what’s going on, but I give them each that opportunity, not where one or two people might monopolize the conversation but everybody gets to come in and do it,” said Latta. Latta has followed in his father’s footsteps to a great degree. “I had a great opportunity growing up in that I saw how much good a person can do. This is something I learned from my dad. I’ve heard him say many times, the difference between a public servant and a politician. A public servant sees how much he can give of himself to the people he represents. While a politician sees how much they can take from the people they represent for their own benefit. I was able to see in a lifetime, just being out with my dad that what true public service is and my dad, in my opinion, epitomized what a public servant is and should be. It’s giving yourself all the time to the people you represent and to do the best you possibly can for them,” said Latta. Latta believes he votes in the voter’s best interest. “I believe in the people that I represent. They’ve put a great deal of trust in me. I protect that trust. I would say that I hold an office of trust, I don’t hold a title in trust. I really believe I have to be out to do my job. So I really want to make sure that first that I listen to the people. When I vote, I’m voting the way the vast majority of my district believes,” said Latta. According to Latta’s campaign website, “He is focused on promoting economic prosperity and job creation in Ohio, as well as throughout the country, and believes we must balance the budget, reduce the national debt, and work toward common sense government reforms. “Today, we have a booming economy. At the end of May, we had about 6.3 million Americans that were unemployed, but we had 6.7 million job openings. We’ve never before seen something like that. The Republicans, you know, kept their promise in moving the country forward,” said Latta. “I want to do do this job for the people 24 hours a day, seven days a week because again, it’s I firmly believe in it, I believe in public service. And again, it’s a great calling, but it’s a great honor and it’s a great privilege to be able to do it because you have over 720,000 people that are relying on you and I think about that constantly and that’s why I do the job that I do and why I want to be out and do it constantly,” Latta added. 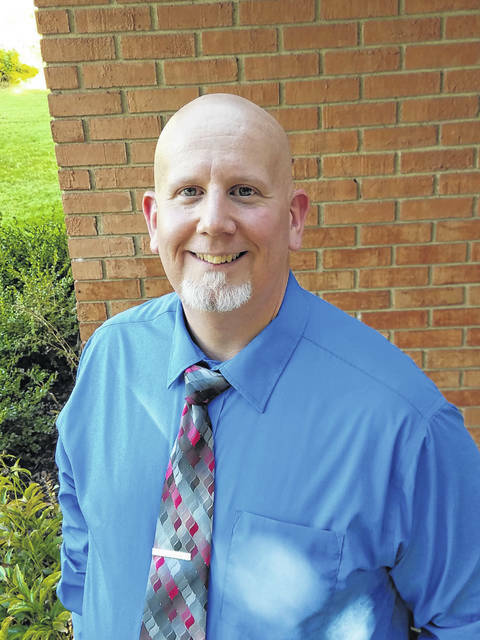 He later received his MBA from Bowling Green State University and in 2014 taught there for four years. Prior to that he worked in the U.K. and served in senior executive positions running finance and sales operations. In 2016, after Donald Trump was elected president, Galbraith made his decision to run for political office. “On November 8, 2016, I just felt I have to do something and so that’s when I finally decided that I would run for Congress,” he said. Galbraith has been running this campaign since the end of January 2017. “There are 14 counties in the 5th Congressional District. We’ve been to each county 20 times. The incumbent representative has failed to hold any kind of meaningful person-to-person town hall events and in the last five months, we have held town hall events in libraries, in city halls, in the Eagles or American Legion halls, wherever, meeting people face-to-face and listening to them,” he said. “Bob Latta refuses to hold town hall meetings, face-to-face. He’ll surely do telephone town halls but a staff screens the questions and he gives stock written answers to all the questions. That’s not good enough. In a democracy. Any elected official has to listen to the to the constituents and have their voices heard. So I promise to hold frequent town hall meetings face-to-face in the 5th Congressional District,” he said. Galbraith is concerned about the state of the nation today. “I truly think that our democracy is under threat. Now you have a situation where farmers, for example, after the Trump tariffs were introduced the price of soybeans came down 20 percent. Farmers don’t want to be on welfare. They want to run their own business in a correct fashion,” said Galbraith. Galbraith is also concerned about what Republicans want to do with healthcare and Social Security. “We’re looking at the hollowing out of the Affordable Care Act among other things, the individual mandate has been eliminated and this is caused a self-fulfilling prophecy to come true on the part of the Republicans that they created. They said that premiums would go up on healthcare insurance and sure enough if you take the individual mandate out and that’s going to force premiums up so they create their own truth there. “As far as retirees go, you look at somebody like Paul Ryan and Mitch McConnell calling Social Security benefits entitlements. You’ve paid money into that. I’ve paid money into that. Anybody who is working pays money into Social Security, and it’s a savings account. It’s not an entitlement. “The problem here is a lot of money is being siphoned away from the middle and working classes and it’s being transferred to the one percent and you know what’s going on in our country, we’re creating a mirror image of the Russian oligarchs whereas the rich and powerful who run the country,” Galbraith said. “(Latta’s) complicit in what I consider to be a criminal conspiracy at the top echelons of our government by not standing up and saying, ‘This is wrong, foreign meddling in our democracy is wrong.’ He doesn’t do any of that. As I said, he doesn’t listen to his constituents. In fact, I would go so far as to say his level of shyness keeps him away from constituents and he just doesn’t not interested in meeting anybody at all,” said Galbraith. “It doesn’t really matter if you’re Republican or a Democrat. At the end of the day, it really boils down to whether you care about your fellow human being and whether you truly are interested in keeping our democracy the way it should be,” Galbraith said. 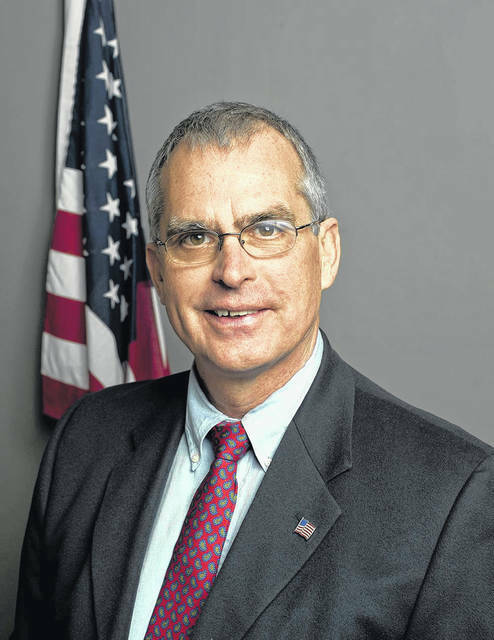 Don Kissick is the Libertarian candidate for the 5th congressional district. Previously, he lost elections for the 4th congressional district seat held by Jim Jordan and lost in the race for Allen County Commissioner. He now lives in Ottawa and is an auto worker, employed at the Honda Engine Plant in Anna. “I got in politics in 2009. I was laid off from work [at Honda] and I had viewed the world through conservative lenses and when the recession got rolling and I got laid off because of this, I was looking at the overall situation and this wasn’t supposed to happen,” said Kissick. Kissick was still a Republican when George W. Bush got elected in 2000 but became disillusioned with runaway spending. That was a turning point for Kissick. A lot has changed for Kissick since then. He lost his first wife to cancer, got re-hired at Honda and met his current wife, Sarah, and started a family. He saw the plight of children trying to cross into the U.S. from Mexico and was saddened. “What prompted me to run this year was the whole immigration issue. When I lost my first wife, and before I met Sarah, I had every reason to believe, since I was 43 at that time, that fatherhood was never going to happen for me. Fast forward five years and I have this beautiful 4-year-old boy and I get to put him to bed every night. Meanwhile, the federal government has had to acknowledge that there are over 1,000 instances of the separation of children from the adults crossing the border with them. They don’t know which children belong to whom and are highly unlikely to be able to be able to reunite these kids with their parents. I could not stay silent on the issue. The immigration reform plank, you know, ranks number eight on my top ten platform priorities,” said Kissick. The national debt is also something he’s passionate about. One of his ideas deals with getting the cost of transporting goods down, thus boosting the economy.